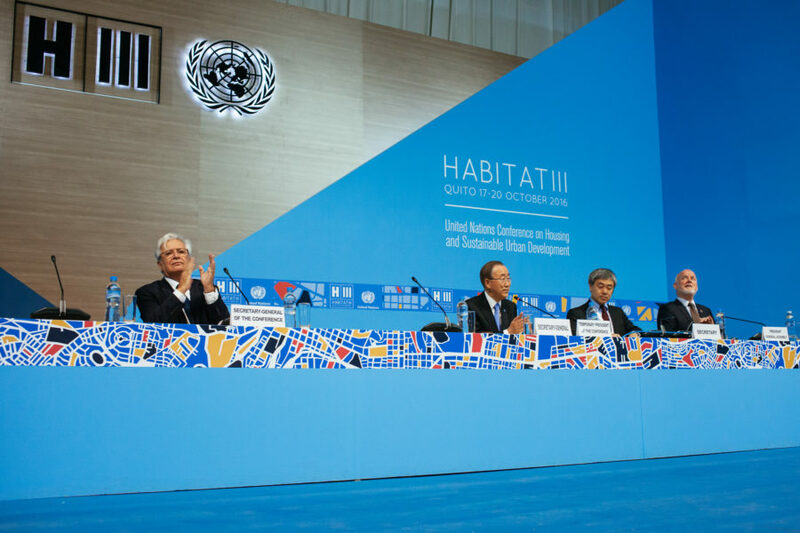 Making the New Urban Agenda a cornerstone of a participatory, integrated and successful tool for sustainable urban development is the core message sent out by the Opening Plenary of Habitat III, the United Nations Conference on Housing and Sustainable Urban Development. The promotion of equitable, accessible and inclusive cities was also recognized by the President of Ecuador Rafael Correa as the main objective of the New Urban Agenda, launched in Quito, which he defined as “the heart of the world,” where change is taking place. The creation of resilient cities, according to Correa, able to conquer the challenges of our era, starts with the definition of the responsibilities of the public and private sectors, as well as other stakeholders and residents. “The New Urban Agenda is a vision for a better and greener urban future where everybody has access to the benefits of urbanization – A vision where all persons are able to enjoy equal rights and fundamental freedoms, including gender equality, guided by the principles of the Charter of the United Nations and grounded in the Universal Human Rights” said Dr. Joan Clos, Habitat III Secretary General. “Leaving no one behind” is a priority shared by the Member States, with a strong commitment towards the creation of basic services and the promotion of better urban planning in order to reduce, over the medium and long term, the number of urban dwellers still living in slums or informal settlements.